RNC Chairwoman Ronna McDaniel did not mince words Tuesday afternoon in response to threats from House Minority Leader Nancy Pelosi about shutting down the government. "Pelosi and her Democrat colleagues’ shutdown threats show they care more about appeasing their rabid far-left base than protecting our borders and fighting for American workers," McDaniel said in a statement. "The American people overwhelmingly support President Trump’s plan to put American workers first while securing our borders and Democrats should stop obstructing on issues that have broad support from the American people. The president is offering common sense solutions to fix our broken immigration system and it’s time for Democrats to end their blindly-partisan opposition." 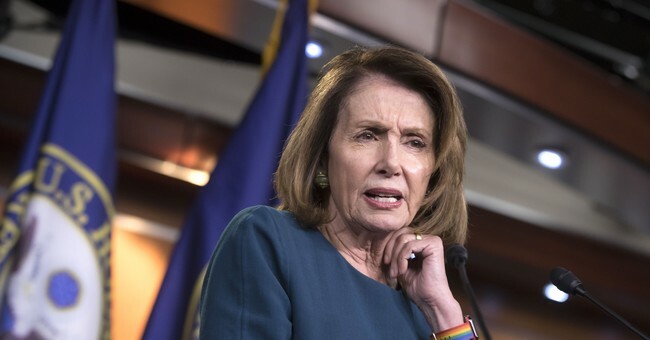 On Monday morning, Pelosi threatened a government shut down over President Trump's proposal to protect DACA in exchange for border security, a border wall, interior enforcement to address visa overstays and a merit based immigration system to promote American workers first. -71 percent call on companies to offer jobs to Americans before foreign workers. -82 percent of voters support a law that would strengthen sentencing penalties for illegals who had previously been deported and strengthens laws against illegal immigrants who commit crimes in the U.S.
-76 percent want more ICE officers. -73 percent believe immigrants must be able to support themselves financially. -By a 2-to-1 margin, voters support limiting the number of immigrants who are seeking to live here just because their relatives do, so-called "chain migration." -59 percent said new immigrants should be required to speak English. -64 percent back legislation that would create a point system based on factors such as English speaking ability, education levels and job skills to rank applicants for the 140,000 employment-based green cards that are granted annually by the United States. Last month President Trump met with Pelosi and Senate Minority Leader Chuck Schumer at the White House to discuss a number of issues, including DACA. They left the meeting without an agreement on the issue.